When you are in need of auto repair or Jaguar service in Freeport, Jaguar Freeport is the place to go. It’s important to follow the recommended maintenance schedule on you new Jaguar to keep it running in top condition. We also have a large auto parts department in Freeport to get you the car parts you need for your XF, XJL, XJ, XKR, XK, or other model. Dress up your vehicle with auto accessories from our Freeport auto accessories department too. View special finance and lease payments on new Jaguar vehicles. Nicholas understood my needs and my budget. He gave me a great deal and I love my new F-Pace. I would recommend you see Nicholas for an easy and seamless leasing experience. Drive the streets of New York in style with a new Jaguar from Jaguar Freeport. The bold lines and luxurious style of models like the F-TYPE, XF, XJ & XK are hard to resist and will get you noticed. At our Long Island and Staten Island, NY area Jaguar dealership we have earned multiple awards across the industry including the ‘Pride of Jaguar’ and J.D Power and Associates’ top customer satisfaction award. Come in and see our new Jaguar lineup today. Let our friendly sales associates take you for a rid in exiting new Jaguar models like the F-TYPE, XF, XJL, XJ, XKR and XK. We’ll take the time to walk through all of the features of each model and let you decide which is the best fit for you. Maybe you’re looking for a like-new used car to travel the streets of Freeport, Long Island, NYC, or Manhattan in, rather than a new Jaguar. You’re in luck. While we have the largest selection of new Jaguar vehicles in the New York area, we have an excellent selection of quality pre-owned cars as well. Visit us to take a spin in one, we’re conveniently located at 146 W. Sunrise Highway Freeport, New York. Once you’ve selected your perfect new or used car match, let’s talk financing. 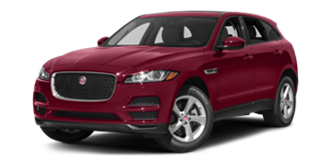 Specifically, our ability to get you a car loan or Jaguar lease in Freeport that meets your exact lifestyle needs. We work with many area lenders – both nationally and in the Long Island region – enabling us to provide you with a variety of financing options. Visit us at 146 W Sunrise Highway in Freeport, NY 11520. 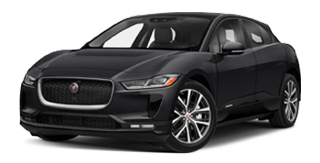 To learn more about Jaguar Freeport and the extensive new Jaguar models, used cars, parts and services we offer drivers throughout Long Island and Staten Island NY, please contact us today. Or, drop in on your way by. Located at 146 W. Sunrise Highway Freeport, Long Island, NYC, we’re easy to find.